My first T’ai-Chi teacher, Cheng Man-ch’ing, said, “A hand is not a hand—every part of the body is a hand, but hands have nothing to do with it.” By then, I had been studying with him for a few years and had become accustomed to this type of paradoxical statement. Whereas I had no idea of what that statement meant, I knew that it must be meaningful and important. However, the understanding of concepts in T’ai Chi sometimes occurs a long time after exposure to them. Prof. Cheng also emphasized what he called “the beauteous hand,” which meant allowing the fingers and wrists to attain their most centered, relaxed, and natural alignment. He claimed that doing so enabled ch’i (qi) to reach the tips of the fingers. 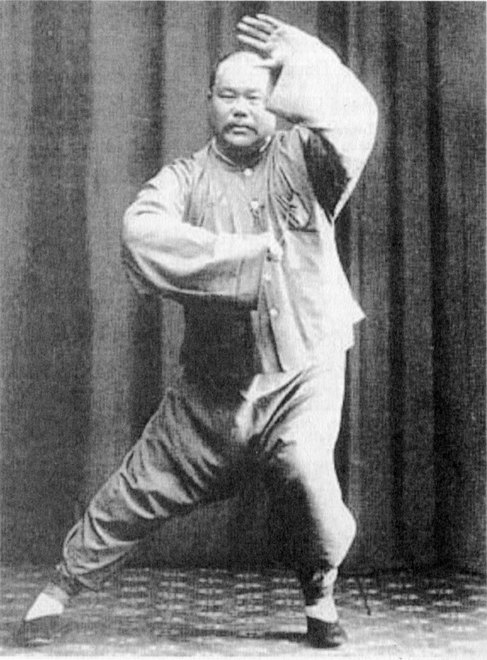 It should be noted that Cheng’s teacher, Yang Cheng-fu, emphasized “setting the wrist” of the potentially striking hand at the end of each movement, which meant bending the wrist so that the palm faced forward (read about differences between Yang and Cheng styles). As is often the case, there can be two (or more) correct ways of doing something. However, some photos of Yang reveal his wrists to be beautifully neutral during transitions (Fig. 1). It took some time for me to realize that “a hand is not a hand” and “the beauteous hand” encompass health, self-development, and self-defense aspects. They promote recognizing and releasing contractive strength, cultivate the flow of ch’i, and illustrate the principles of non-action, non-intention, non-attachment, being in the moment, and unifying all parts of the body. Why are Hands so Important? Our hands have many more sensory and motor nerve endings than other parts of our bodies (see Figs. 2 and 3, respectively). As a consequence, our thoughts are readily expressed through our hands. When you touch another person, the pressure and movement of your hand tells that person your intention. Moreover, by learning not to put any intention in the hands (by allowing a natural, centered shape), you are training not only the physical aspect of non-intention but also its corresponding mental state. Fig. 2. 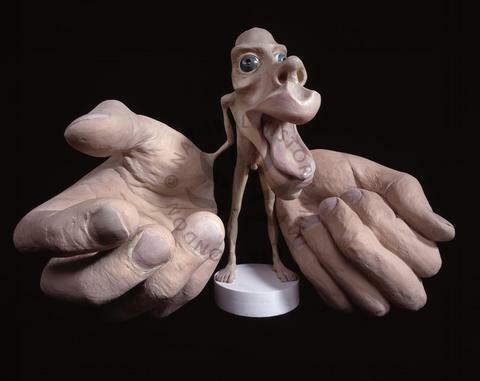 A Sensory Homunculus, which is a model of a human body with the size of each part proportional to its sensory connections to the cortex of a human brain. Fig. 3. 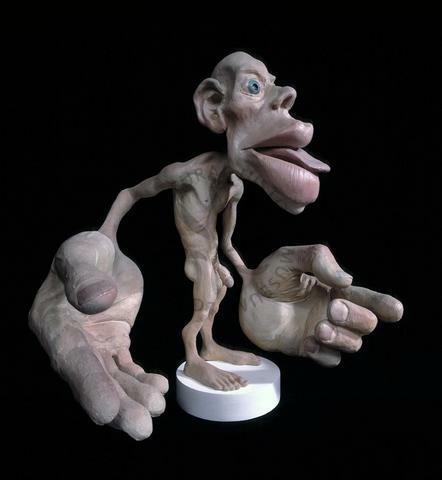 A Motor Homunculus, which is a model of a human body with the size of each part proportional to its motor connections to the cortex of a human brain. Physical. Physically, “a hand is not a hand” means that when your hand touches the opponent, it does not act, feel, or move like a hand. Everyone knows what hands and fingers can do—block, punch, pull, push, deflect, stab, poke, pinch, slap, and grasp limbs, fingers, skin, neck, or hair, etc. The trunk of the body, on the other hand, can do little to attack and is vulnerable. So when a hand feels, moves, and acts like a hand, the opponent becomes alerted, ready to change, and ready to take defensive or offensive action. If, however, your arms and hands are so thoroughly unified with the body that they act and feel to the opponent like the trunk of your body, they are not threatening. That is, during neutralization, when your arms and hands lead the opponent off your center, it should feel to him that he contacted your body, not your arm or hand, and that point of contact seems to move, not with any intention of yours but seemingly passively, as a result of his action. That is why, in doing the T’ai-Chi form, it is important for the shape of the hands to be natural and their movement to be as much as possible a result of the turning and shifting of the trunk of the body. Moreover, there should not be any mental state of intention in a self-defense situation except at the instant that a strike or kick contacts the opponent. At that instant, intention is crucial. Mental. One of the basic concepts in internal martial arts is that a skilled opponent can “read” our intentions and, thereby, be ready to thwart our attack or defense. Once there is a connection between two people, if trained, one of them can read the intention of the other directly, without any input to the conventionally named senses (visual, auditory, tactile, etc.). In T’ai Chi Ch’uan, this skill is called listening power. In Ninjutsu, a Japanese art having much in common with T’ai-Chi Ch’uan, the mental projection of intention to hurt another is called sakki, translated as the force of the killer. An important part of the Ninjutsu training is to sense sakki and move to safety at the right instant. Of course, in an actual self-defense situation, it is important not to have intention, but in training, the intention of one partner is used for helping the other partner learn to sense and properly utilize another’s intention. Intention is also used deceptively to startle or distract an opponent to provide time to run to safety or to move him to a position more beneficial for attacking him. In Ninjutsu, the godan test (the test for 5th-degree black belt) requires the applicant to sit on the floor with his or her back to the grandmaster, Masaaki Hatsumi, who suddenly and with great intention, swings a shinai (a “sword” made from bamboo strips that make a loud sound on impact but don’t cause injury) downward on the applicant’s head. The belt is awarded only if the applicant moves at the right time not to get hit (see video and another video). If the applicant moves too early (before Hatsumi’s action is committed), Hatsumi can easily change and score a hit, and if the applicant moves too late, he or she will of course also get hit. Note in the linked videos the strong intention evidenced in Grandmaster Hatsumi’s face just as he swings the shinai. At that moment but not before, he is generating in himself the intention to do severe physical harm, at the same time subconsciously knowing that the applicant will not be injured if he/she fails the test. In the first video, most of the applicants are feeling Hatsumi’s intention but moving prematurely. At one point, Hatsumi exclaims, “Very good. Excellent” because the applicant is feeling the initiation of his thought to start the sword motion. Nevertheless, that applicant moves prematurely and fails the test. Whereas a highly trained opponent can know our intention without any visual, auditory, or tactile cues, any opponent will know our intention if these cues are evident. Thus, we train to contact an opponent softly and move with unification and continuity. However, even a shift of weight or the shape of a hand telegraphs information that can be “read” about our intention. That is why a weapon or even a fist is not shown before its use, and the weighting of stances and transitions is so important. Non-action means using the minimum action to accomplish a required goal—it does not mean passivity or doing nothing. In practicing non-action, it is necessary to weed out any unnecessary tension and movement. Because of the sensitivity of the hands, they are an ideal place to start practicing non-action by releasing as much tension as possible and attaining a centered, neutral shape. Non-attachment means not holding on to any preconception, habitual response, or thought of accomplishing a task. Instead, whatever actions are required are carried out, moment by moment. Non-attachment is very similar to being in the moment. Aside from telegraphing your intentions, tension in the hands represents a state of mind wherein the hands are preparing to perform an action that is not necessitated by current conditions. Being in the moment means not having your conscious thoughts going into the past or future when carrying out whatever actions are required for accomplishing a task. As soon you have an intention to do a future action, that thought puts you in the past because the present goes by without your appropriate involvement (see article about non-intention and being in the moment). Unifying the arms and hands not to collapse but move with the body requires the use of upward, outward correct muscular action, called peng jin, which is the topic of a separate article.